Have you ever wondered when binoculars were invented? You would assume that they were created around the same time as the telescope, but parts of the binocular were actually being made as early as the 1200’s. 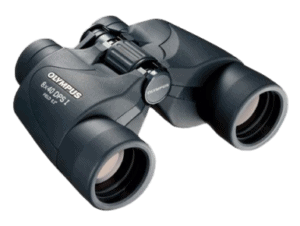 The history of binoculars is not as short as you may think because, whilst the idea has been around for a long time, certain inventions needed to be made before the binoculars were able to give you properly orientated images. Read on to find out about the history of binoculars! In 1267 a friar called Roger Bacon wrote about his solution to the problem of focusing the eyes on close objects, i.e. the short-sightedness which tends to develop with age. He recommended that sections of glass could be placed on pages of writing to magnify their content, and by the end of the 1200’s craftsmen were already making thin glass sections which would be put into frames so people could wear them in front of their eyes, i.e. the first glasses. As these reading glasses were similar in shape to lentils, they became known as lenses because the word lens is Latin for lentil. Binoculars were actually built in 1608 by a man called Hans Lippershey in the Netherlands. He created a convex lens and a concave lens which, when combined, could magnify the image of distant objects. He showed his binoculars to the Assembly of the States-General of the Netherlands and they asked that he create a similar object with two lenses as it would be easier for use in battle. He did indeed create these binoculars, but they had poor resolution and bad magnification and so they didn’t become particularly popular. Lippershey wanted to patent his invention, but he was refused. The origins of the binoculars may actually go back before Lippershey because around that time you could already buy small spyglasses with a similar design. During the 17th/18th century, a few inventors had a go at creating smaller telescopes or two piece box telescopes, i.e. binoculars, but they were all pretty bad quality and we don’t know much about them. Galileo may have actually stolen Lippershey’s idea because just one year later in 1609 Galileo started the process of building a telescope. He eventually created around one hundred telescopes which could magnify up to thirty times, and with these telescopes he was able to observe far away objects including the Moon, Jupiter’s satellites and his invention has lived on ever since. Galileo’s telescopes were pretty basic by today’s standards. He only used lenses which were curved on one side and his creations have a very small field of view. The development of binoculars doesn’t seem to have progressed very much until the 1820’s when binocular ‘theatre glasses’ started to become popular. These glasses were based on Galileo’s design, and even though the magnification wasn’t particularly powerful at all it wasn’t really a problem if the spectators only wanted to magnify a nearby stage. Later on, in the nineteenth century similar binoculars are known as ‘field glasses’ started to be developed. 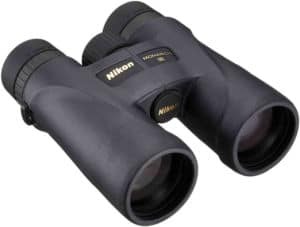 These binoculars were very similar, but they have a slightly higher magnification. Ignazio Porro is sometimes thought of as the inventor of the binocular because he received a patent in 1854 for his prism system, and without that prism system binoculars may never have become popular. Porro prisms were created for a variety of optical instruments with the goal of orientating images so they were correct. They normally work as part of a double porto prism system which will reflect the light four times in total. The prism is made up of right angles, and when the light enters the large rectangular face of the prism it will internally reflect twice so the image has now turned 180 degrees. There is normally a second prism rotated at 90 degrees and it is there to ensure that the light will go through both prisms. Porro’s prism design is still widely used today. Prisms are necessary for binoculars because without them any images that you see through the binoculars will be upside down and backward! Prisms have a mirror like an effect which reflects the light back and orientates the images so they are the right way up. Carl Zeiss had been working on building better microscopes since the 1840s Zeiss ran an optics workshop and in 1866 that workshop had sold over 1,000 microscopes. In 1866 he paired up with fellow inventor Ernst Abbe and along with Otto Schott, they worked on improving lenses for multiple optical instruments including microscopes. Ernst Abbe is the same Abbe of the Abbe-Koenig prism. Their prism is a roof prism and it is basically designed to invert the image so it is no longer upside down. The prism is composed of two glass prisms which are cemented together in a shallow V shape. The light will enter one side of the prism, it internally reflects 30 degrees, it is then reflected from the roof section of the binocular, and it is reflected again at 30 degrees on the opposite face of the prism. Roof prisms have been around since the late 1800s, but they only started to become popular on the market almost a hundred years ago in the 1980s. The idea for the binocular is as old as Galileo, but it was only around 200 years later that the idea actually began to take off. 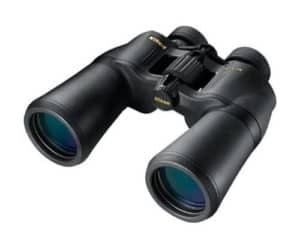 Binoculars are very handy because you can look through them with both eyes at once which means you are not distracted by your other eye and you get a sense of depth, so it’s actually surprising they weren’t invented earlier. Prisms are pretty much essential for binoculars because, whilst it may not matter if the moon, planet or star that you are looking at is upside down, it will probably matter if you are trying to watch live sports at a stadium or if you’re trying to take a closer look at the local (or not so local) wildlife. Read more about When Were Binoculars Invented? on Best Binoculars. Previous: Previous post: How Do Binoculars Work?